Today’s episode is about the bashraf (pre-composed instrumental form with often quite long binary rhythmic cycles, played as a prelude to the waṣla. The structural pattern of the bashraf generally alternates four khāna-s and the taslīm/ritornello. There are other types of semi-composed bashraf alternating one or two composed sections and an improvisation in a binary rhythm responsorial between the instrumentalists (see taḥmīla)) qarah baṭāq sikāh, a work by Khuḍr Āghā who played the kamān (violin) or kimān (bow) –kimān tshēh means “with a bow” as we mentioned in a previous episode about the violin–… I think it was the violina rather than the viola. Kimānist Khuḍr Āghā died in the mid 18th century A.D., around 1760, i.e. towards the end of the 12th century hijrī. All the above are arabised by taking the khāna-s exactly as is and playing them, while changing some phrases to be compatible with the Arabic mood/tone as described by Kāmil al-Khula‘ī or Qaṣṭandī Rizq in the following: ‘Abduh al-Ḥāmūlī used to come back from Istanbul with tunes compatible with the Arabic tone/mood… Anyway, this is unimportant… Just note that some phrases were changed in order to be compatible with this tone/mood. In brief: the person who arabised this bashraf selected the khāna-s, transformed the dialogue into an improvisation, and changed the rhythm of the last khāna. He changed the rhythm of the last khāna (section), shortened it, and turned it into a samā‘ī thaqīl. The rhythm of the bashraf is 32 ṣūfī kabīr or ṣūfiyān kabīr… call it whatever you wish. The point is that it is a 32 beat’ rhythm often used in Turkish bashraf-s.
We have over 15 recordings of this bashraf, some of which we will listen to in full, while we will only listen to part of others because of the episodes’ duration restrictions. Based on the catalogues, I think that it is the instrumental work that was recorded the most in Arab music, knowing that I only found two recordings of it in Turkey, either because it was not famous or because it just happened that it was not recorded. The Gramophone recording of Sāmī al-Shawwā, Ibrāhīm al-Qabbānī, and Muḥammad al-‘Aqqād. 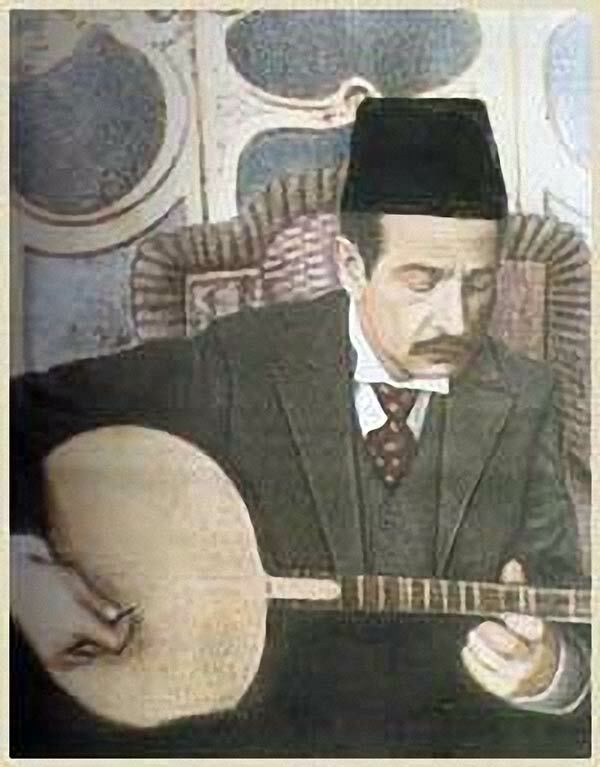 ‘Abd al-Mun‘im ‘Arafa recorded in the Arab Music Institute in the last quarter of the 20th I consider it as a teaching recording for the students of Cairo’s High Institute of Arab Music. 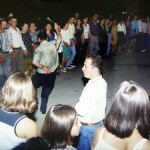 The Turkish Radio Band, made probably in the late 1980s or early 1990s… I do not know the date and will greatly appreciate it if someone could provide me with it. Someone told me it was recorded in 1987… but God knows. Muḥammad al-‘Aqqād’s recording was borrowed from the library of Sheikh Khālid Āl-Thānī. The arabised version recorded by Odeon eight years earlier, is played by Ḥāj Sayyid al-Suwaysī, ‘Abd al-‘Azīz Afandī al-Qabbānī, and ‘Alī ‘Abduh Ṣāliḥ. We do not have a recording of the Turkish version made before 1912. 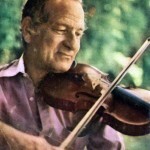 Yet, knowing Jamīl Bēk al-Ṭanbūrī’s ability, we can affirm that his version is as close as possible to violinist Khuḍr Āghā’s original version. In Ḥāj Sayyid al-Suwaysī’s Odeon Arabic recording, he performs them on the ‘ūd. The two recordings are on two sides of a 27cm record. Yet, unlike Odeon’s recording, in Jamīl Bēk al-Ṭanbūrī’s recording, each side is introduced separately, i.e. we can hear “Orfeon Records” twice. One must not mistake Side 2 for a repetition of Side 1. The first impression conveys that these two versions are completely different, with no relation whatsoever between them. Starting nest episode, we will discuss in detail the similarities and differences mentioned broadly at the beginning of today’s episode. You have a whole week to listen to these two versions and make out the similarities and differences. We will meet again in a new episode to resume our discussion about bashraf qarah baṭāq sikāh.